The first book I studied this year was 1 Samuel. I was so excited to do this one because it’s one of my absolute favorites. The stories are amazing and I love that David is described as a man after God’s heart. It begins with Hannah, a heartbroken woman who wants to be a mom. God answers her prayer and Samuel, a prophet of God is born. Samuel grows up in God’s service and sees Eli’s mistakes. He watches the people demand a king from God, rejecting God in the process. Saul enters the picture, and momentarily serves God. 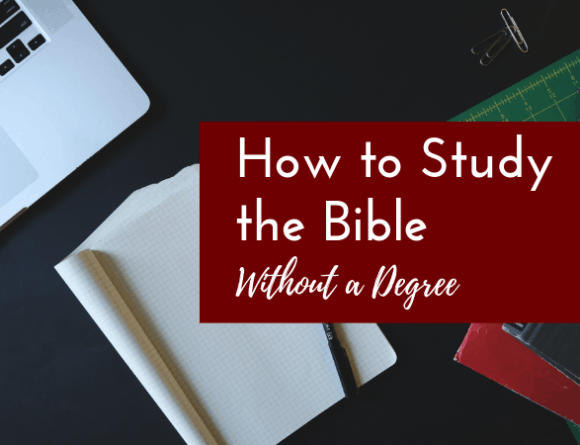 It would be great to study this book with two columns drawn in a notebook next to you. One for Saul and his bad choices, and one for David and his heart after God’s. In some ways the stories at the beginning of the book feel like an introduction, all leading up to David. David is not perfect. Far from it! A heart like God’s heart does not mean that a person will make no mistakes. It means that you will respond differently when confronted with your mistakes. Again and again Saul offers excuses and anger when he fails. He has no one to blame but himself, but blame he does. Out of the forty years of Saul’s reign, we are told that he serves God for two of them. David is humble. He can be reasoned with and he is repentant when he realizes that he is outside of God’s will. His friendship with Jonathan is beautiful, and Jonathan is a man who follows God as well. By man’s standards, the kingdom is his, but nowhere do we get the impression that He is jealous or plans to subvert David. Even when Saul knows God’s will expressly, he rejects him. However, David desires to follow God at any cost. Even in times when the path seems obvious, scripture tells us that David pauses to ask God if this is what he wants. I felt very convicted throughout my study of this book, that I forget to seek God in the small things. As I studied I wanted more and more to share the things I was getting out of this with you guys. 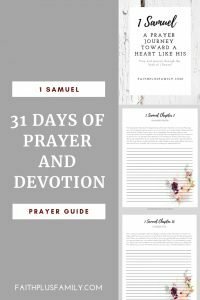 So I have written a 31 day devotional and prayer guide over 1 Samuel. There are three parts to each day of the study. 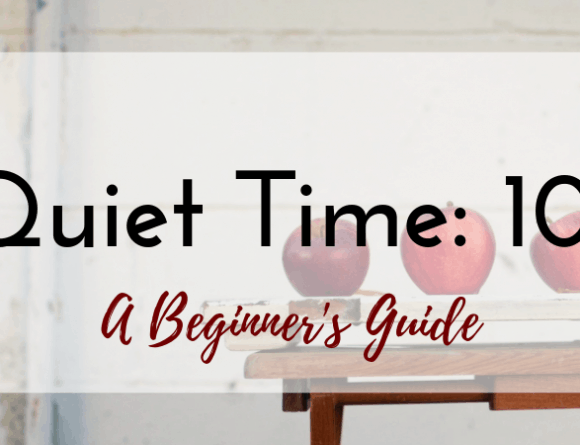 If you are new to having a quiet time, or if you just want to make your quiet time a little deeper, I really recommend reading an entire book through and studying it. 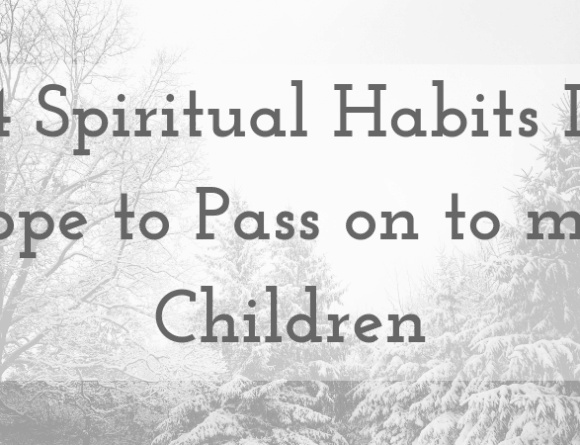 This prayer guide will help you do just that. Each day begins with a reading of the chapter of 1 Samuel so that by the end of the month you will have read the entire book. I included a short devotion for each chapter with a few of my thoughts on the passage and a prayer prompt for what the passage is teaching. I kept these fairly short, because I really want you to be able to spend time with the actual word of God and in prayer and journaling. 3. Prayer journal your thoughts. If you have not kept a prayer journal before, I hope that you will not be intimidated by this part. All a prayer journal consists of is your prayers. 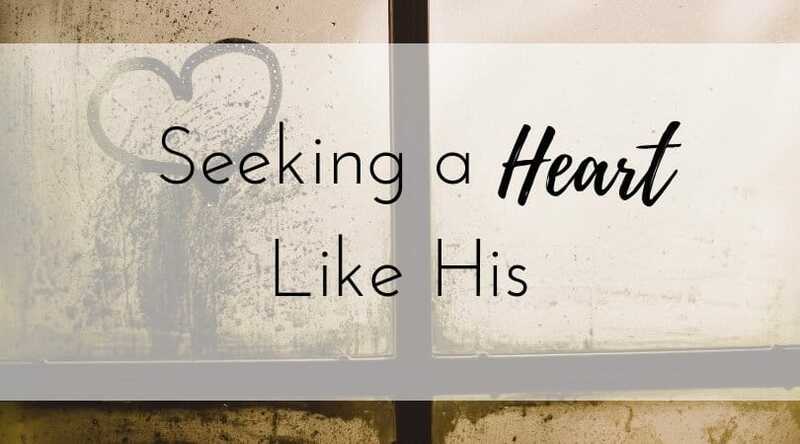 This is a great tool for looking back over to see what God has worked on in your heart, prayer requests that he has answered. Some of these prayers will be ones that you want to keep and pray again as God moves in your life. 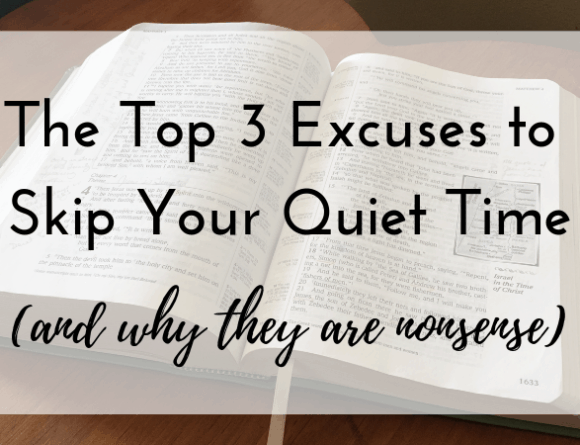 If getting serious about your quiet time is something you’d like to do, then I hope you will grab this prayer guide. 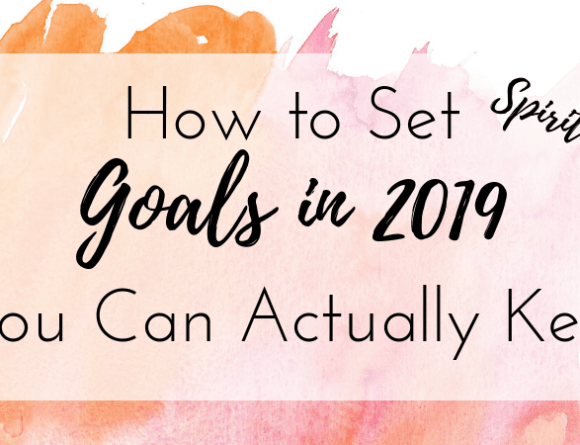 This takes just a few minutes a day to complete and can help you get on the road to making a quiet time a habitual part of your day. 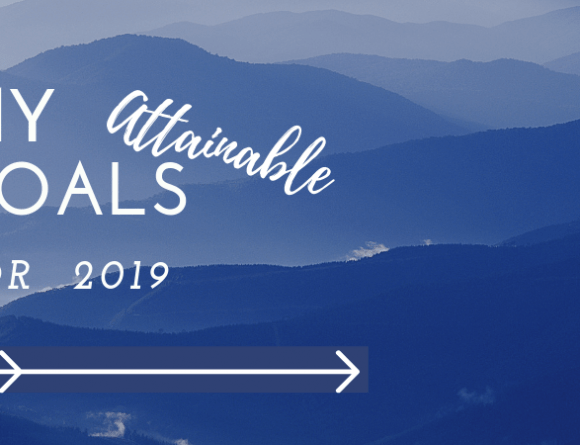 Grab the Prayer Guide here.